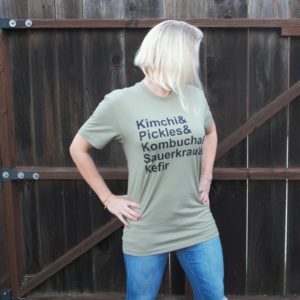 Kombucha is traditionally made with brewed tea (from the Camellia sinensis plant). 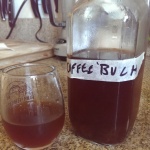 Did you know you can also use coffee to make this probiotic elixir? I decided to start with a cold-brew. 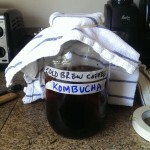 My bet was that the flavors would be more noticeable in the finished kombucha coffee. I was right! 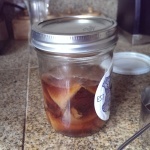 After you use a SCOBY (the mother or starter culture for kombucha) to make coffee kombucha, you should store it separately from tea SCOBYs. 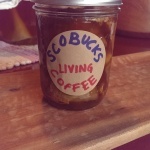 Start your own “SCOBY café”! 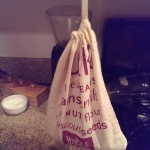 Grind coffee and pour into canvas/muslin bag. Tie bag off tightly so grounds cannot escape. 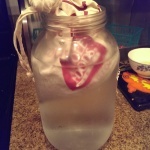 Fill jar/vessel with 54 oz/1.6 liters of cold water. Add coffee bag and put in refrigerator. 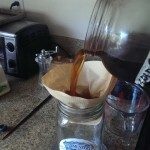 Twelve hours later, remove coffee bag and lightly squeeze bag over jar/vessel to capture remaining liquid. Compost or discard grounds. 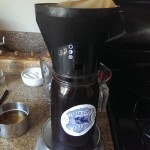 Filter coffee into another container through a paper coffee filter to remove any sediments. 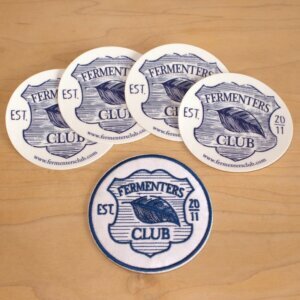 Pour back into jar/vessel. 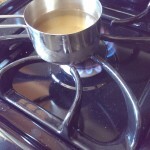 Add sugar and ¼ cup/ 60ml water to a small saucepan. 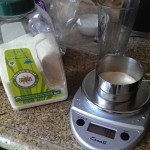 Heat until sugar dissolves. Remove from heat and let cool. 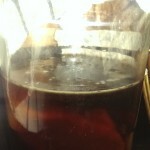 Add simple syrup to jar. 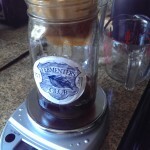 Allow coffee to warm to room temperature (70°F/21°C or higher). 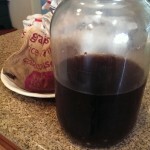 Add SCOBY to jar. 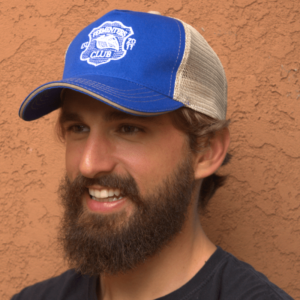 Be sure to coat your fingers with mature kombucha or vinegar first before handling SCOBY. Cover with a cloth and secure with a rubber band. Place in a spot out of direct sunlight. Check after 5 days. 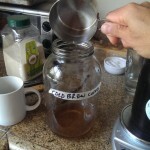 If you like the taste, remove the SCOBYs and decant to another jar. If not, check again in another day. When finished, put lid on container and store in fridge. 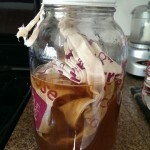 NOTE: Keep coffee SCOBYs separate from tea SCOBYs. 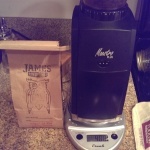 Start with really good coffee! Put up for 5-7 days.